We are gearing up for the 2018 farm season. 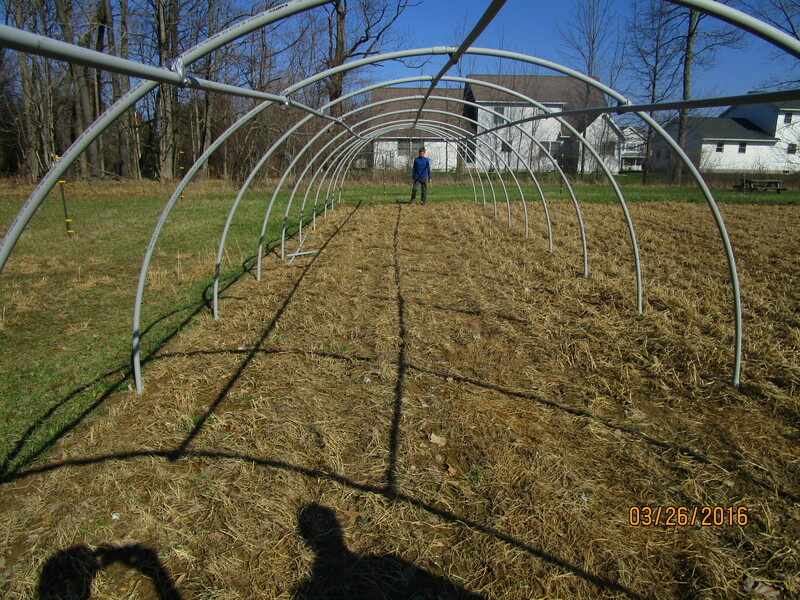 The seeds have been ordered, we’ll be starting transplants indoors soon, and we just tapped the maple trees for syrup production. The 2018 CSA forms have been uploaded. 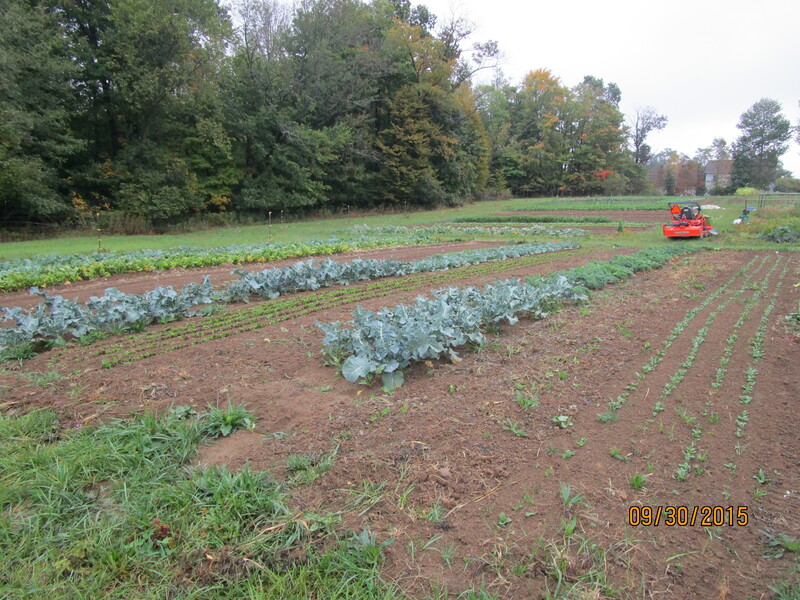 A CSA farm is a co-operative effort between the farmers, and the farm members. 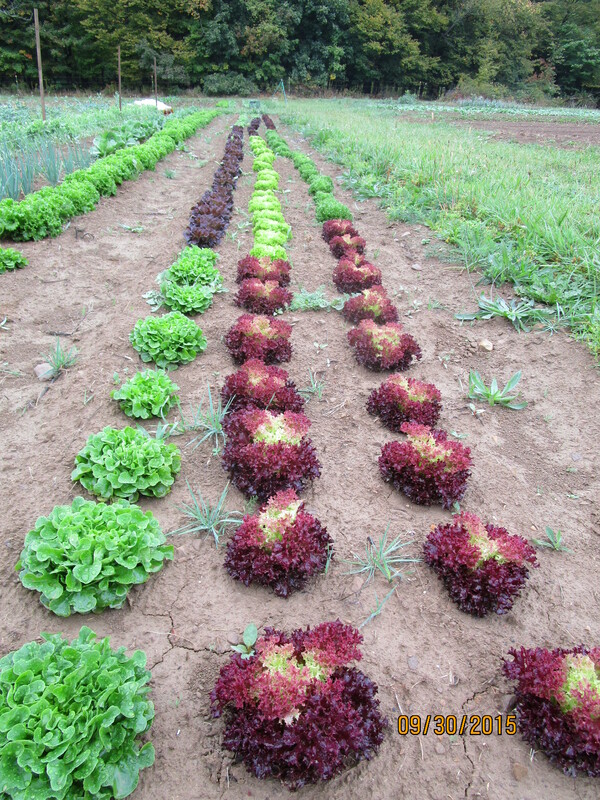 Each member pays at the beginning of the season, and each week receives a share of the harvest as crops become available. More information and the CSA farms can be found here. The 2016 farm season went by so quickly and we can’t believe the 2017 farm season is almost here! 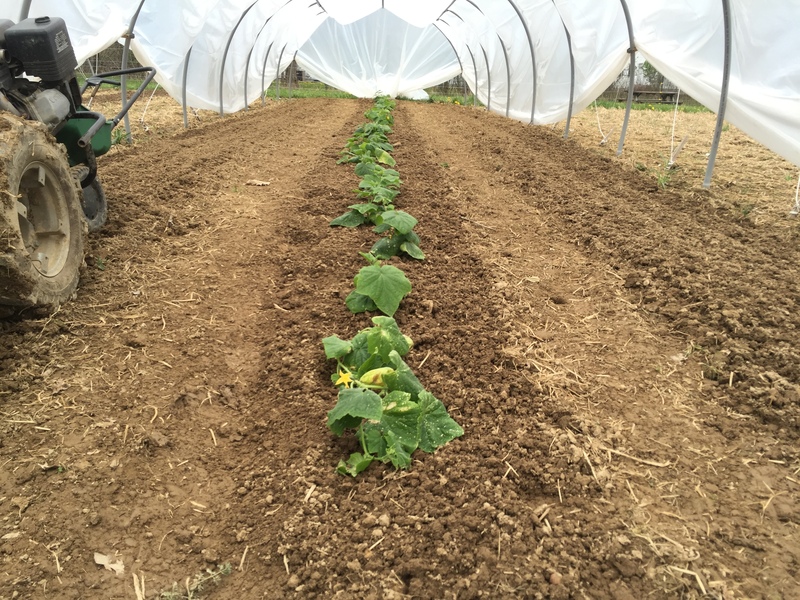 Although it may not seem like it, the days have started to get longer, and we will start the first round of planting (inside) next month! We have opened up the CSA signups for the 2017 season. 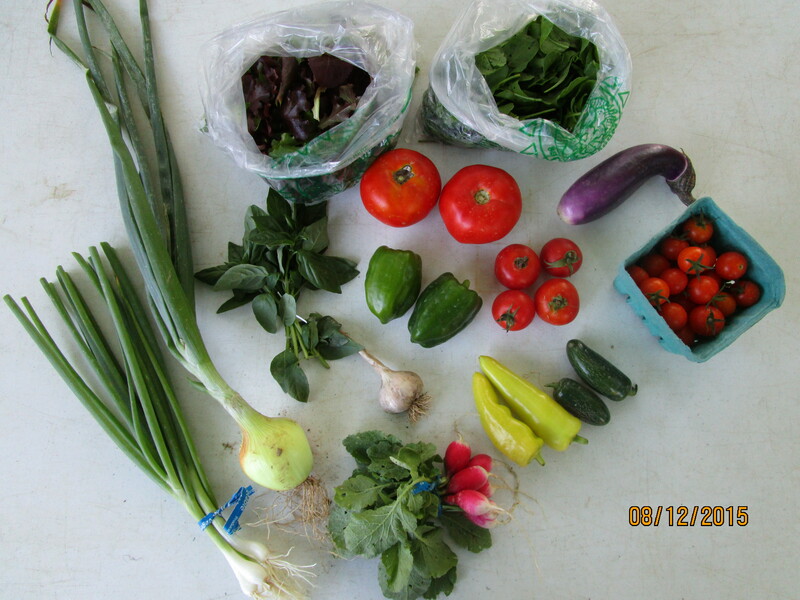 Click over on our CSA page for more information. Have a wonderful winter and we’ll see you soon! 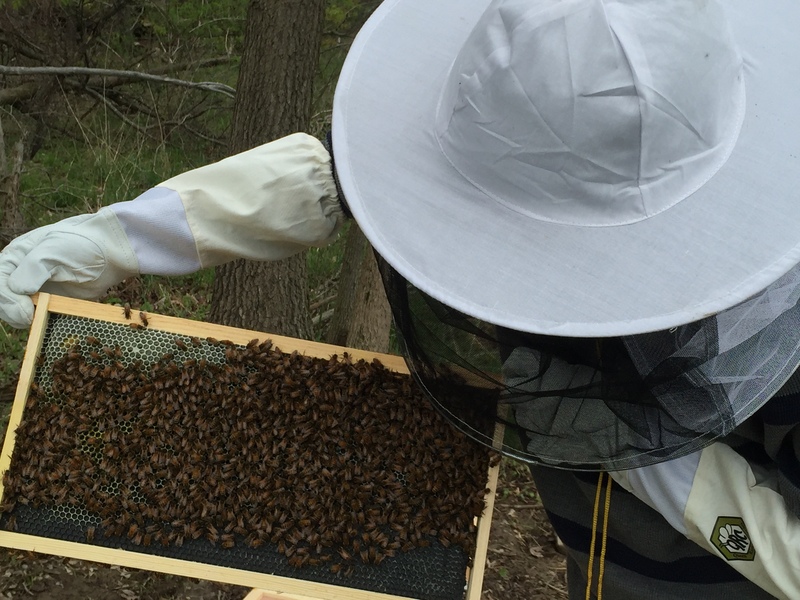 Next, we became beekeepers this year, which is an absolutely fascinating experience. 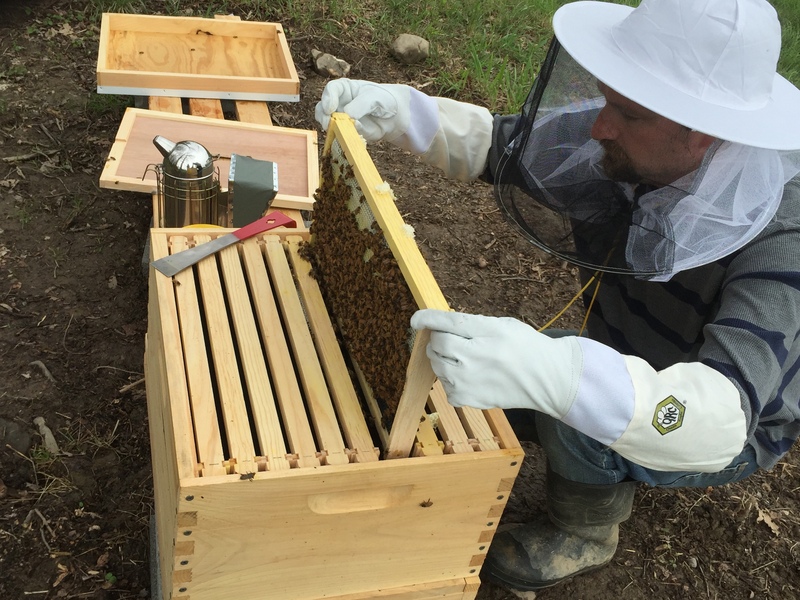 We started with one hive, but expect our hives to grow each year. The bees will aide in pollinating our crops significantly, and provide us and farm members with honey in the years to come. Finally, we are happy to announce that free range egg-laying hens will be part of our farm moving forward. 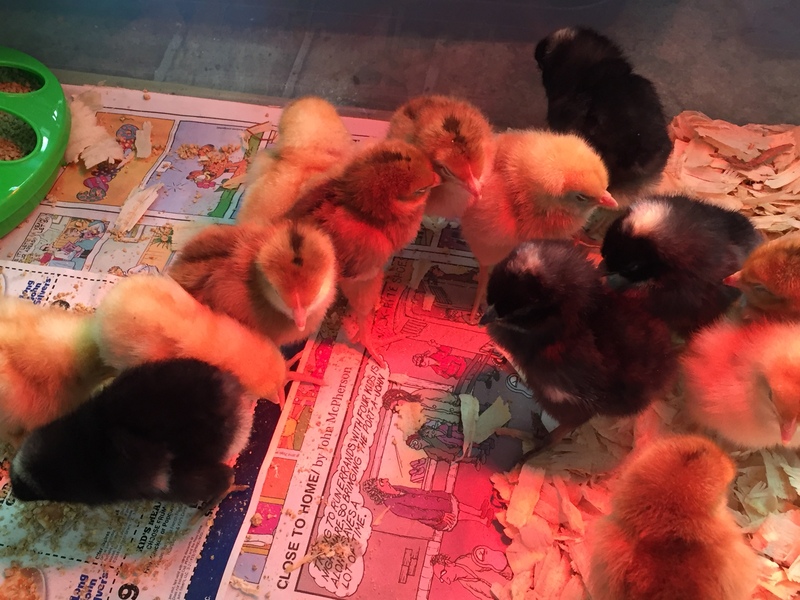 Our flock for our first year will be a mixed flock of 15 hens, consisting of Buff Orpingtons, Rhode Island Reds, and Barred Plymouth Rocks. 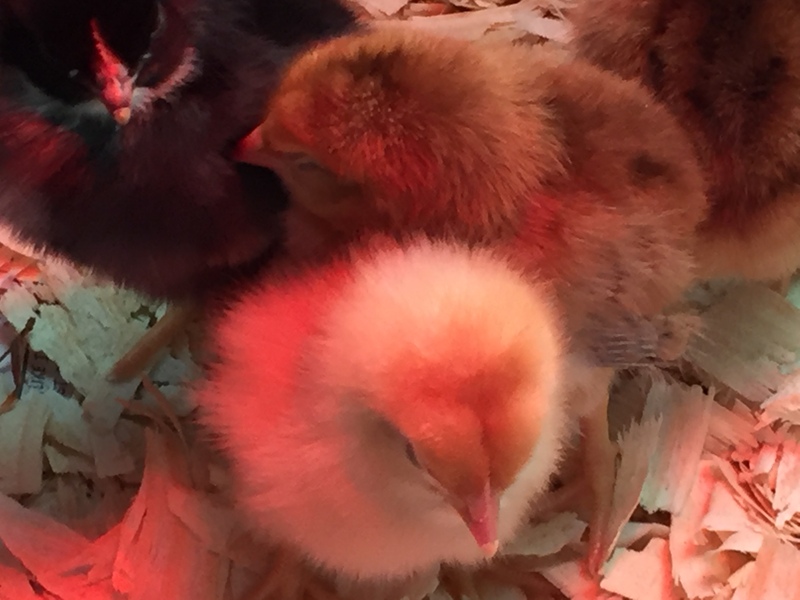 As of this post, they are just 7 days old, but growing (and eating) extremely fast. 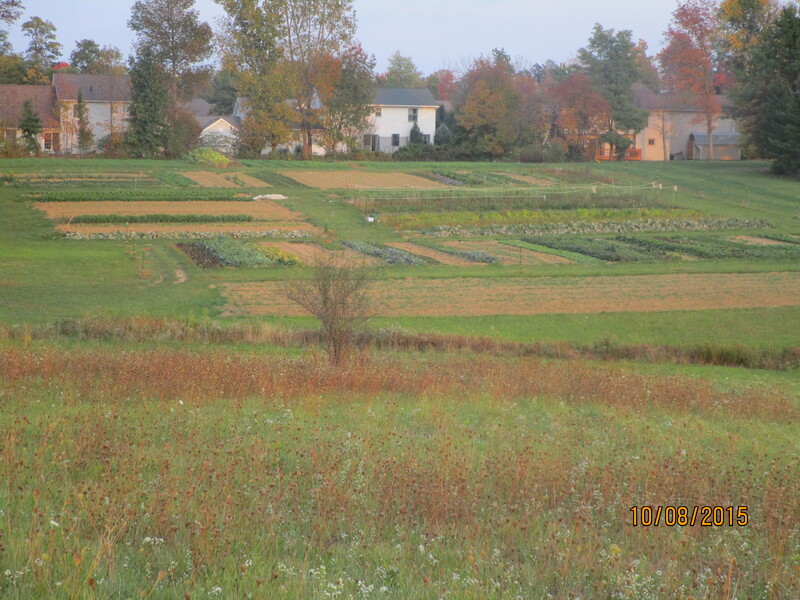 Also, as of this post, we are now the official owners of the land we farm. We will be forever thankful to the previous owners of this land. 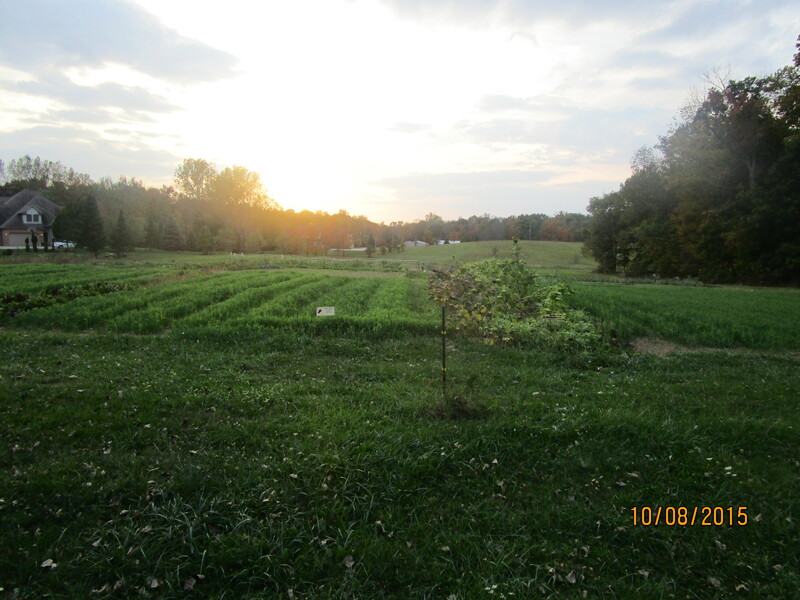 If it were not for their conservation and stewardship of this parcel of land, we would not have been able to turn a vacant lot in the City of Ontario into a viable small family farm. Our 2016 CSA flier is now available for download. Head over to this page to download and print off the flier. We are pleased to again off the “Early-Bird” discount this year, as well as a new discount to members who refer a friend to join our farm. These coupons are both found on the CSA sign up page. The days are shorter, the nights are colder, but there are still many crops on our farm still growing very well in this milder weather. 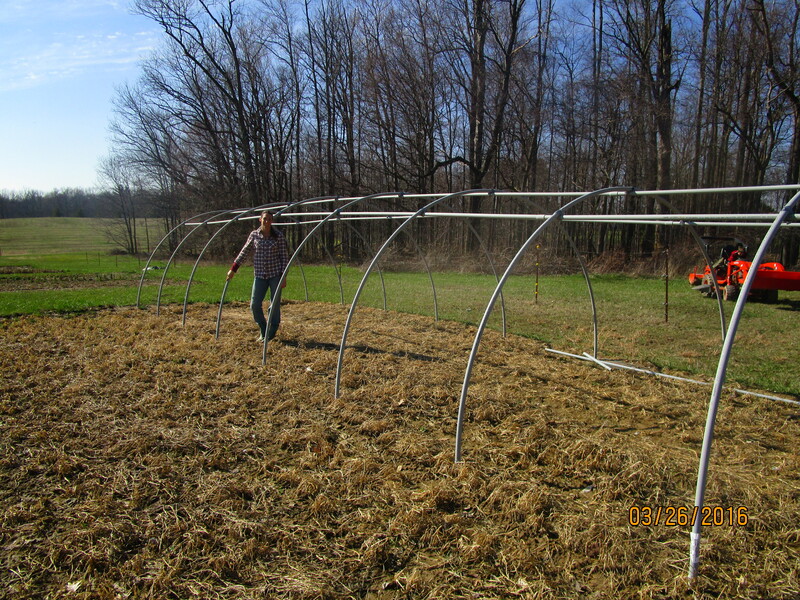 Fall (and late summer) is also a very important time to seed cover crops. 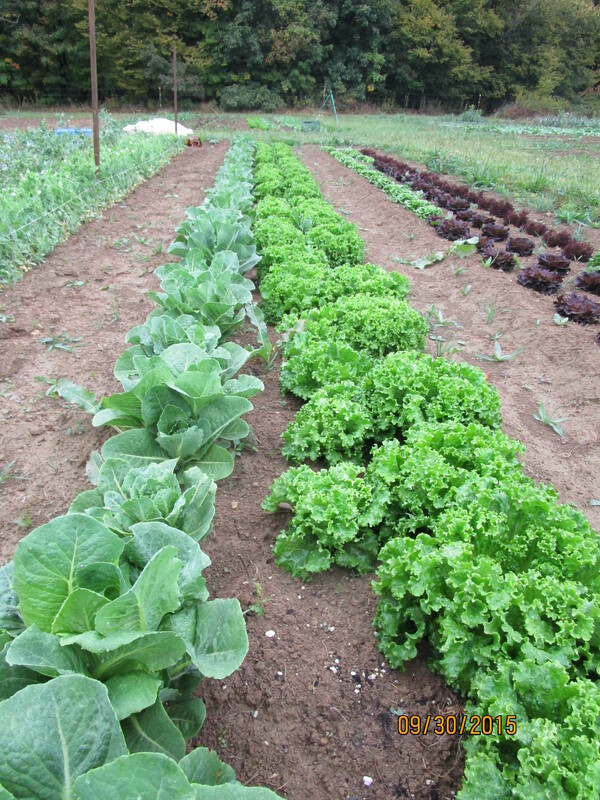 These are a vital part of the fertility program of organic farms. 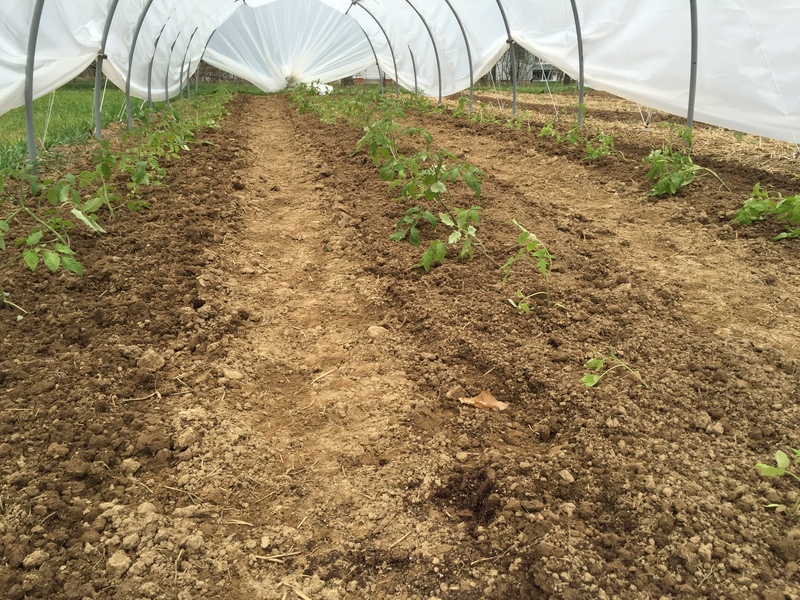 Cover crops reduce erosion, take up nutrients from the sub-soil, fix nitrogen from the air, and add organic matter to the soil. They do all this for just the cost of the seed and time spent planting them. 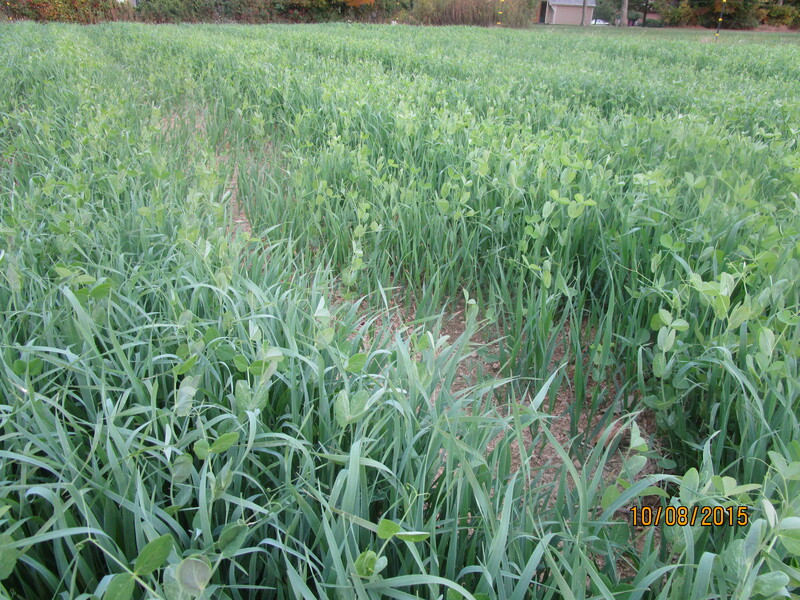 This year, we planted a mixture of oats and field peas. We would like to offer a heartfelt “Thank you” to each and every farm member and farmers’ market customer who came out this year and supported local growers. 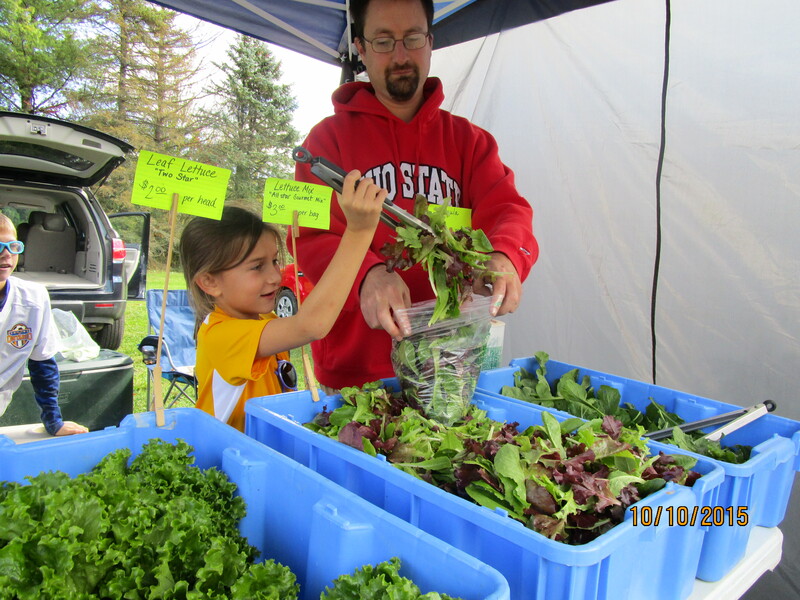 Your commitment to locally grown food and small family farms is to be commended. This adorable insect that we all know and love is on the verge of extinction, and unless people act, future generations may never experience the joy of seeing them flutter about peacefully from flower to flower in summer time. 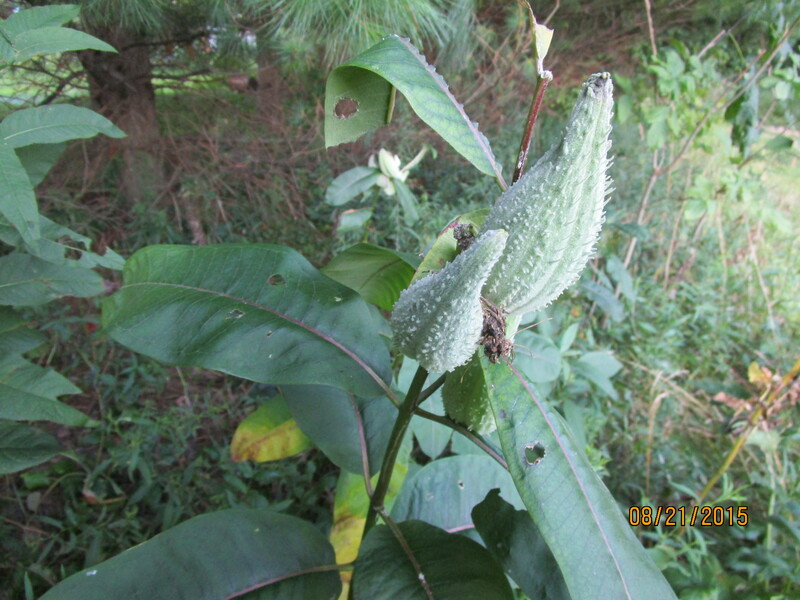 Female monarch butterflies only lay their eggs on milkweed plants. The larvae that hatch from the eggs eat only milkweed plants. 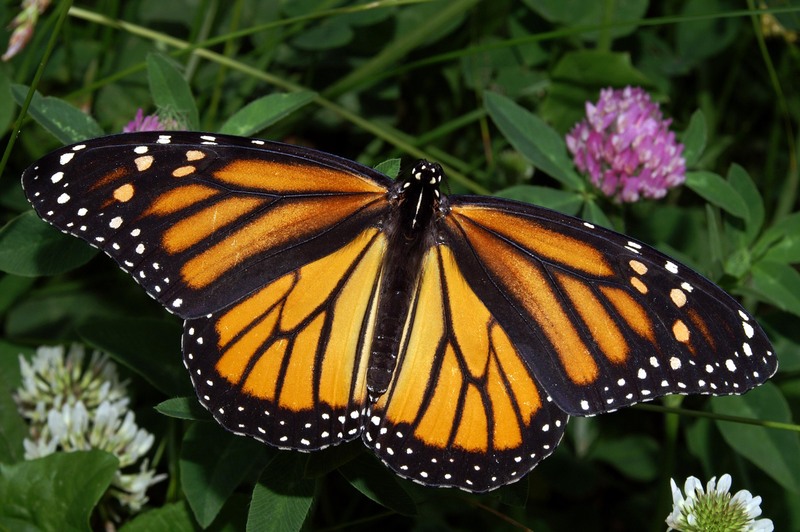 The fate of the monarch butterfly rests entirely on the fate of the milkweed plant. 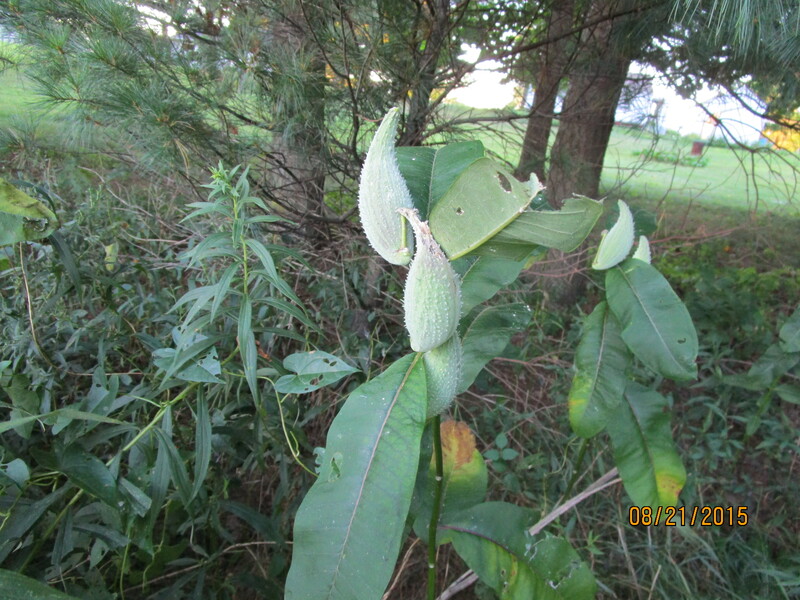 Here are some pictures of milkweed growing on our farm. Notice the seed pod on some of the pictures. So, what is happening to the milkweed plants? Many factors are contributing to the severe decrease in milkweed populations, but most experts blame industrial agriculture in the Midwest as the biggest cause for the decrease in milkweed. 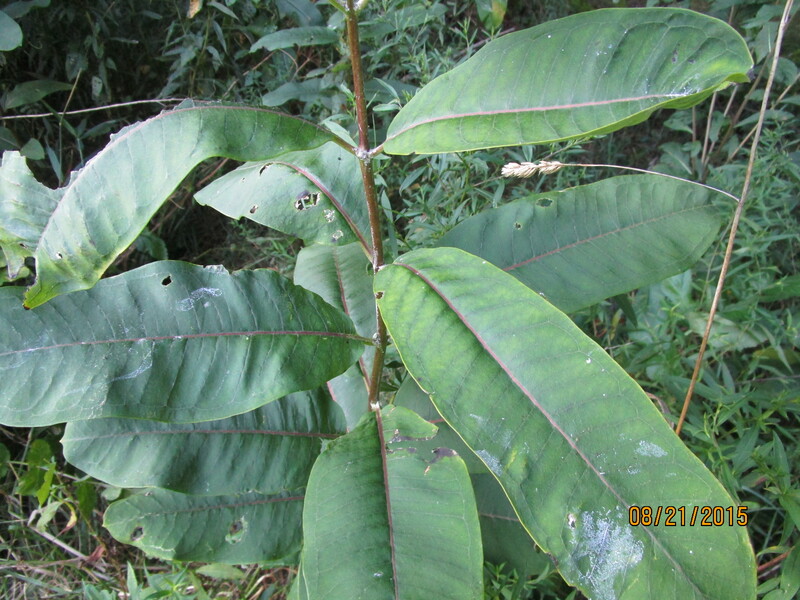 Prior to the invention of non-selective broad leaf chemical herbicides (and crops genetically modified to be resistant to these herbicides), milkweed plants were happy to grow in corn fields or soybean fields, the two crops that occupy most agricultural land during the summer months. 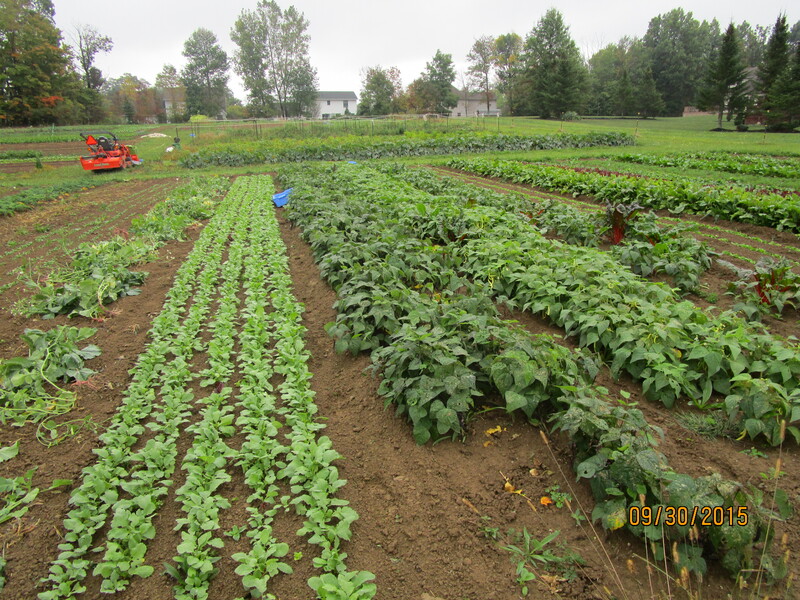 These crops are now modified so that they are not killed by non-selective broad leaf herbicides, but the milkweed plants are killed by the herbicide. Milkweed plants can no longer be found in any of these agricultural fields that spray these herbicides. This is a huge problem for the female monarch butterflies as they search for milkweed plants to lay their eggs. What can you do to help? The typical home owner can put a few milkweed plants in their gardens. This alone would help the female monarchs quite a bit as they migrate from Mexico back to northern parts of the United States. If everyone in the country deliberately planted one milkweed plant, there would be over 300 million additional milkweed plants to support the monarchs. If you live in the country, and have acres in lawn that you spend hours mowing each week, consider converting some of that land to a tall grassland, ideal habitat for milkweed plants. 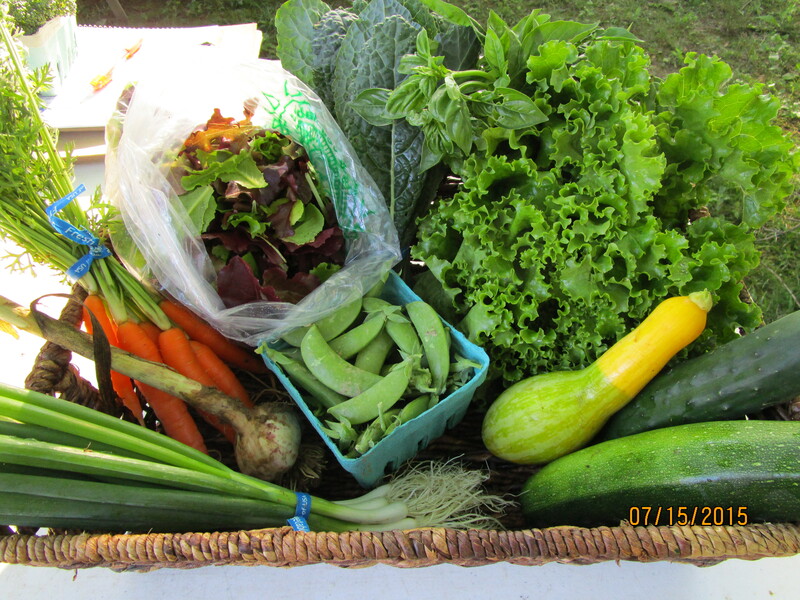 Indirectly, you can support organic agriculture by purchasing organic whenever possible. Organic farmers are not permitted to use the herbicides that are preventing milkweed from growing. Here on our farm, we chose to be stewards.